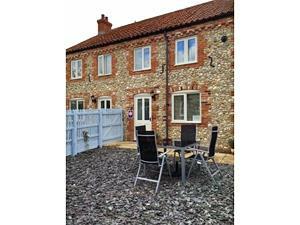 Lavender Cottage01485 518779work Self-cateringLocated just 4 miles away from the north Norfolk heritage coast, with easy access to nearby RSPB sanctuaries, nature reserves and cycle paths, the central location is a great base to explore all North West Norfolk has to offer. We place emphasis on high standards of cleanliness and a very Warm welcome. The cottage was refurbished recently and offers comfortable and well equipped accommodation. We welcome children and dogs. If you have special requirements we try to accommodate any requests and provide extensive local information and Wi-Fi access. The cottage has a collection of local books and topical publications. Visit our website to find out more or look at our comprehensive glossary. We are a small company with a big heart - we take care of you, welcome your dog and respect the local environment. Located just 4 miles away from the north Norfolk heritage coast, with easy access to nearby RSPB sanctuaries, nature reserves and cycle paths, the central location is a great base to explore all North West Norfolk has to offer.